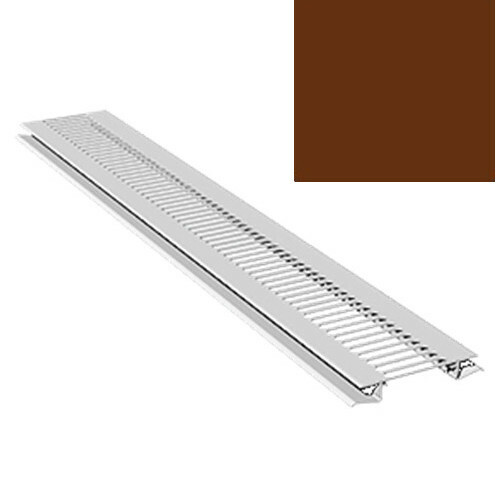 2.5M ventilation strip in brown for use with any 10mm boarding. This trim is used to provide an alternative to pre vented soffit boards or ventilation discs. They measure 80mm wide with a visible width of 55mm once fixed.